Sign at beginning of trail. Captivated by carnivorous plants, I never had an opportunity to see them growing in nature. I was amazed to find them along with elephant ears thriving in Canton, Massachusetts. 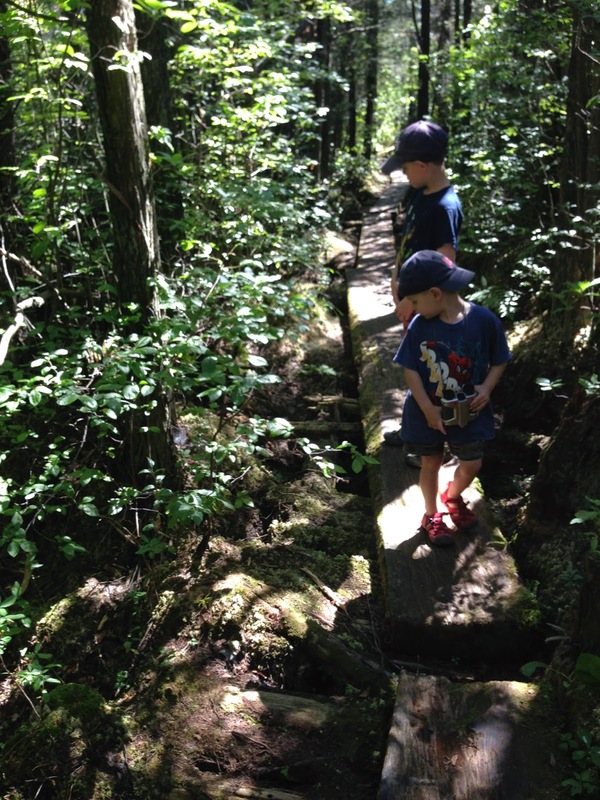 Ponkapoag Bog Trail is a must visit if you live in or are traveling to Massachusetts. 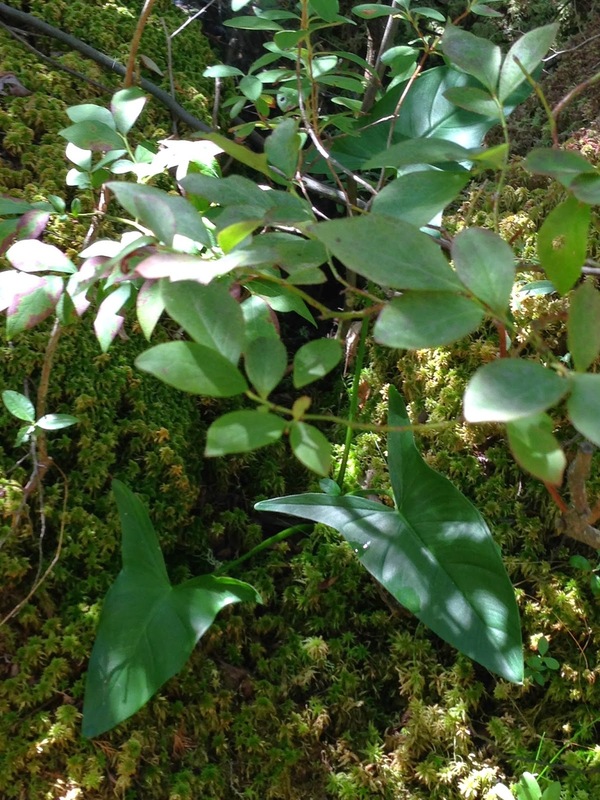 Part of the Blue Hills Reservation, Ponkapoag Bog is a white cedar bog, which is a bog rarely found in Massachusetts. The bog has a boardwalk trail which is made up of single layer planks. We traveled all the way through the bog's edge which is in the middle of the pond. It ends with an amazing view of the pond. 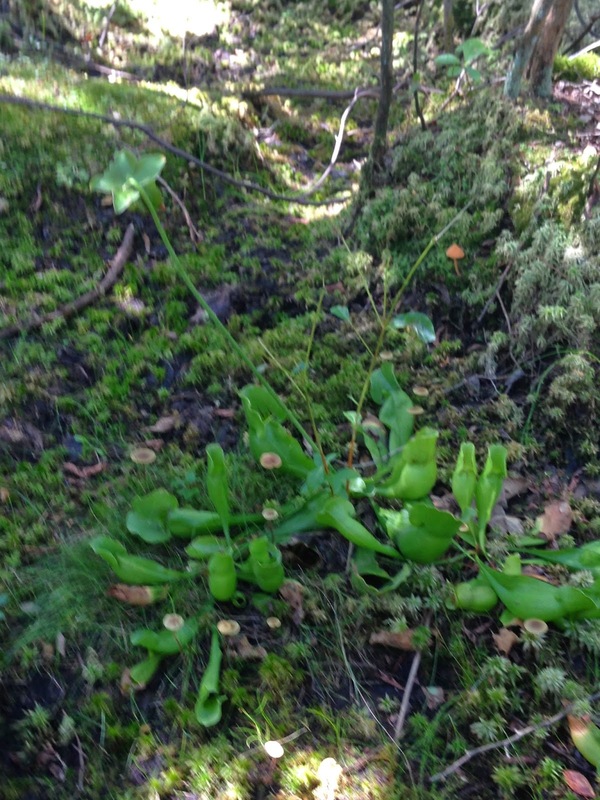 We were able to see sundews, and pitcher plants. Blatteworts are also in residence however we were not lucky enough to find them. I was also excited to see elephant ears, I over winter our elephant ears, it is amazing to see them thriving in the harsh New England climate. I read that the boardwalk can be difficult if the water level is high so plan your hike accordingly. 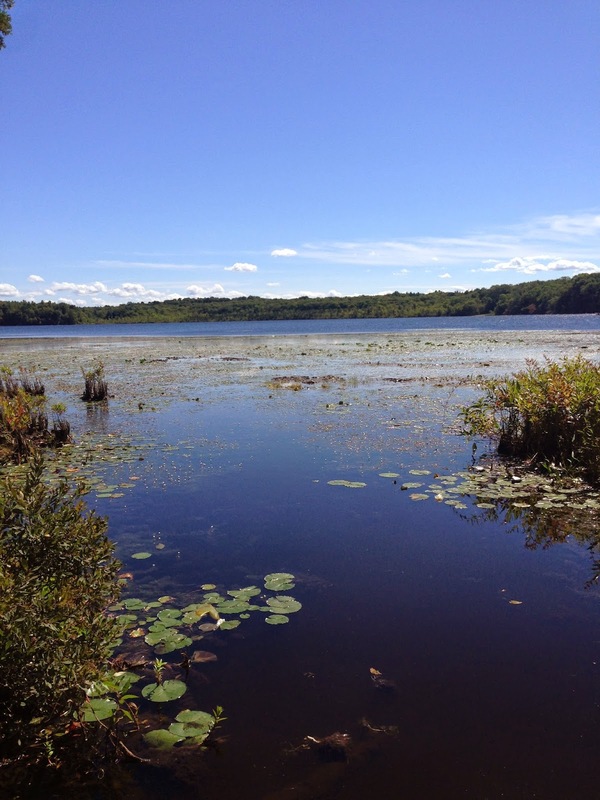 In addition to the Ponkapoag Bog Trail, you can hike a scenic 4.2 mile hike around the Ponkapoag pond. After researching the best way to access the trail, I found that parking at the Ponkapoag Golf Course on Washington Street in Canton, at the intersection with Turnpike Street, provided the best access. There is a map of Blue Hill Reservation at the entrance to Maple Avenue, a tree lined paved path that goes through the heart of the golf course. We took the path to the end and turned left, following the dirt path through the golf course. 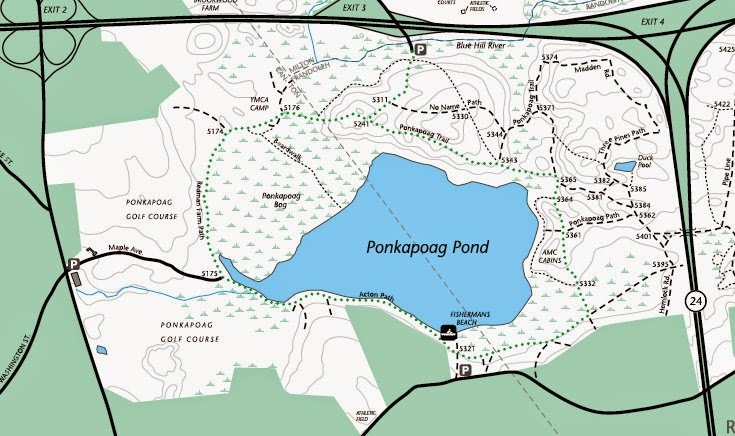 Ponkapoag Pond will be on the right. There will be a path that intersects in the woods. 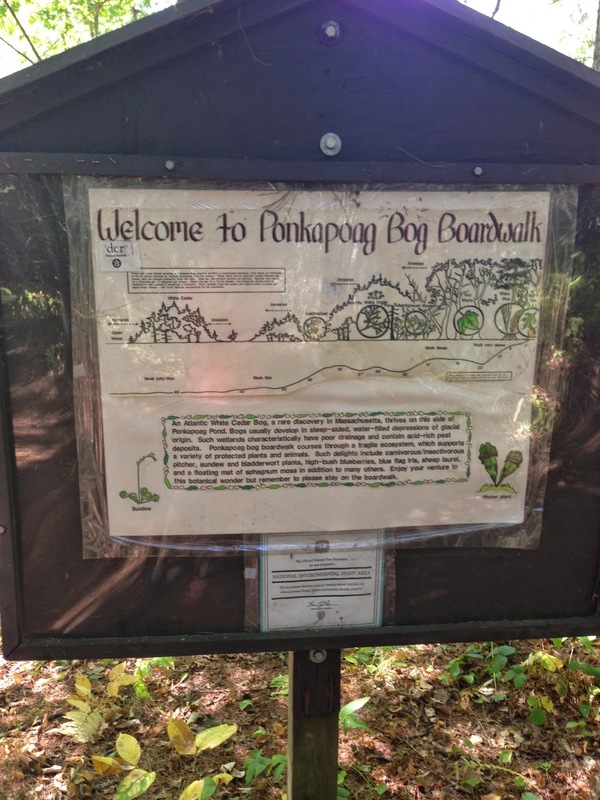 Take the path to the bog boardwalk entrance, you will find a sign and a marker indicating it is the Ponkapoag Bog Trail.